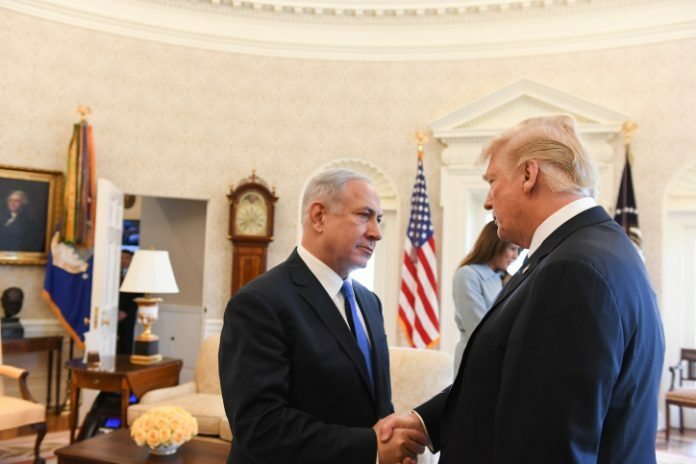 Only the first phase of the Trump administration’s Middle East peace plan will be presented at the United Nations General Assembly, a source close to the White House told Israel Hayom on Thursday. Previous reports claimed President Donald Trump would unveil his so-called “deal of the ‎century” during the U.N. General Assembly meeting ‎in New York next month. Trump is set ‎to address the assembly on Sept. 25. The source said the reason for the partial presentation was that the president’s peace team has encountered difficulties in recent months, but also noted Trump’s current legal battles. U.S. National Security Adviser John Bolton told reporters in Jerusalem on Wednesday that while there’s been “a lot of progress,” the Trump administration has no timetable for rolling out the much-anticipated peace plan. On Tuesday, Trump said Israel will have to pay “a higher price” in peace talks with the Palestinians as a result of official U.S. recognition of Jerusalem as Israel’s capital last year.